81% of those surveyed say their pet is an important factor when looking for a home. 89% of people would never consider giving up a pet due to housing limitations. 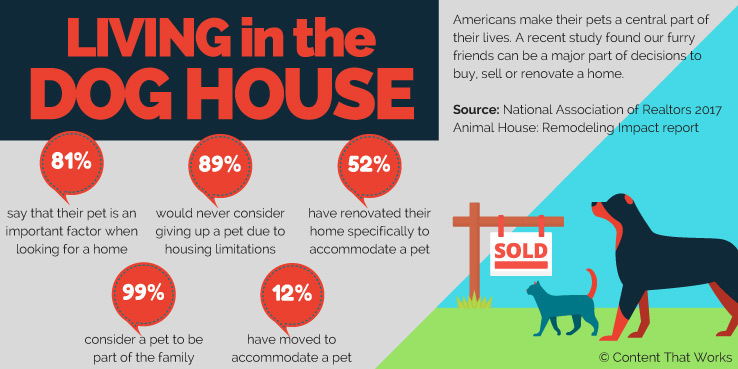 52% of people have renovated their home specifically to accomadate a pet. 99% of pet owners questioned consider a pet to be a part of the family. 12% have moved to accomodate a pet.